amar favourite. best quick fix meal recipe. Easy and healthy recipe!!! The pasta looks like it has been cooked to perfection!! I can see why are so addicted to this...This looks delish & satisfying!!! 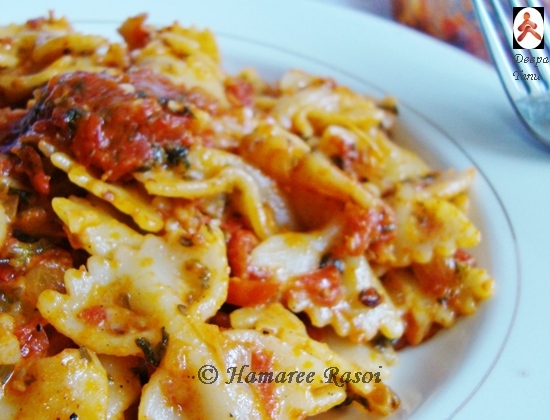 Simply tempting.. Easy one too..
Tangy pasta sounds so yum and easy to make too..
will make this when my tomato harvest from the garden is ready!! Thanks!! slurpy. I love this very much but yet to make a post of it as it gets over before getting clicked. Homemade pasta sauce is always on top. I too love to do my own for pasta and pizza:) Pasta with this seems super delicious dear. Wow that tempting,loved the sauce,bookmarked. 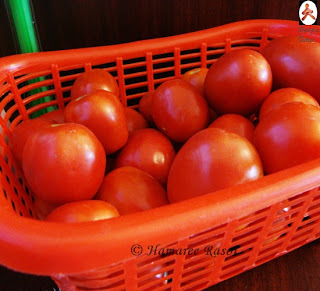 i also has a pasta in tomato sauce in my blog.yours look veryyyyyyyy yummy.i hv newly created another blog related to life experiences.my blog name is life skill.do visit and comment on my newly created blog and if u like you can become follower of my blog. no one can no to this..
Wow..wonderful..Am simply drooling on ur space.. Deeps, u r rocking gal..
Love pasta with tomato sauce. This looks so tempting! Superb clicks! Pasta is always my lazy day dish. Quick, easy & yummy..
Tomato sauce sounds great, will love to have pasta with it..nice clicks too.. 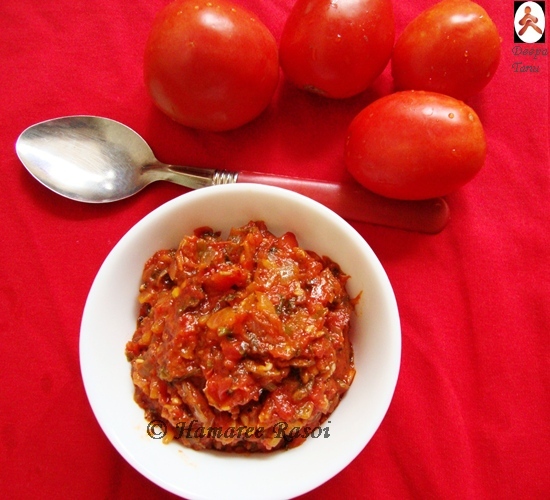 Superb recipe for pasta sauce.. would love to try.. They are really mouthwatering. very attractive. Wow....mouthwatering here....can pass on to me. 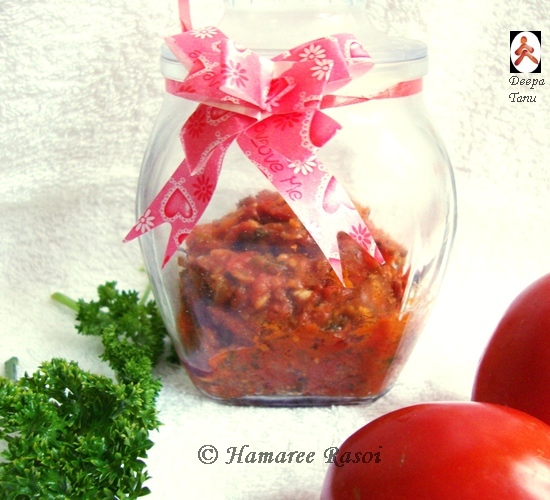 Love pasta sauce made at home ,looks so delicious with bow pasta! Pasta with tomato sauce looks delicious. Wow colorful pasta,looks so delicious and tempting. Looks Yummy,nice color, lovely pics and perfect recipe. 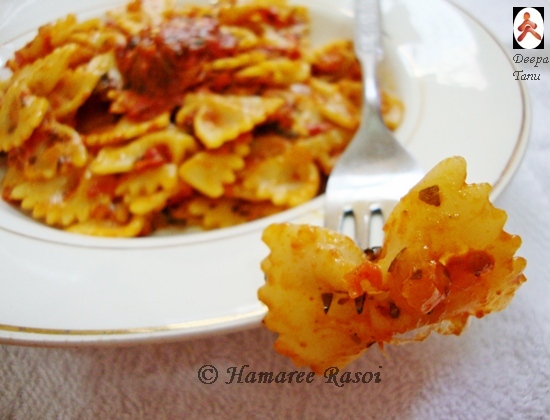 inviting pasta.. loved the sauce recipe.. need to try this ! save some deepa..I'll be right over..
lovely pasta wid yummy sauce...I like this,but hubby is not fond of dis n hence I make it when i m alone.. Very nice , sauce ..will try soon ! 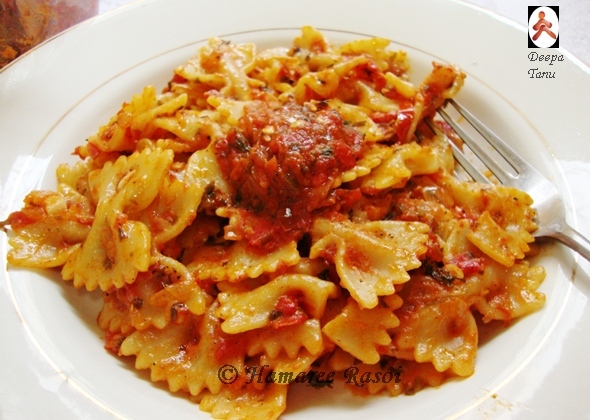 The sauce looks soooo yummy n tangy:-)Farfalle pasta looks soo pretty!! Beautiful work...looks splendid. And picture makes me hungry. Looks so yummy ....our all time favorite !!! this pasta looks mouth-watering! love ur pasta sauce too ! Its looks very inviting and tempting. this meal just always tastes good any time of year! Catching up with missed posts.Pasta looks so delicious. Easy, simple and delicious looking pasta.